Language Arts: In Phonics, we learned the vowel sounds ” O” and “U”. In order to learn how to make secondary colours from primary colours in Art class, we began our week by reading different books about Colours .The books we read were “A Little Blue and A little yellow” ,”The Carrot Seed”, “I Eat Rainbow”, “Pete the Cat.” I Love My White Shoes,” (the most popular among SK2) and the poem, “Rainbow Hair.” SK2 really enjoyed these books and did a great job doing story sequencing, choral reading, and text to self activities, Masha-Allah. Math: We are learning how to write numbers in words and reviewing how to do tallies in our Math class. We completed how to write number 6 and 7 in words. We also read a poem ”One, Two Buckle My Shoe” to recognize number words in reading. Science: In Science, we did a cool experiment about colours . It was an explosion of colour! 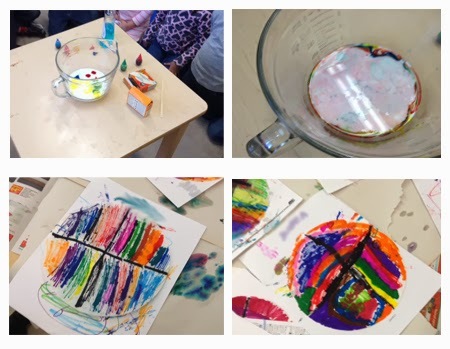 Some very exciting visuals happened when we mixed a little amount of milk, drops of different food coloring, and liquid soap. Students were amazed and exited to see the burst of secondary colors in white milk. Visual Arts: First we read a poem “The Rainbow Hair “ and then we made our rainbow hair by using the seven colours of the rainbow. 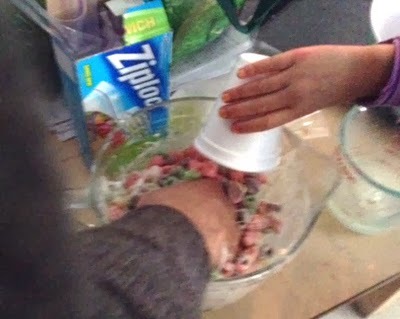 Also we coloured coffee filters with markers and later sprayed them with water. 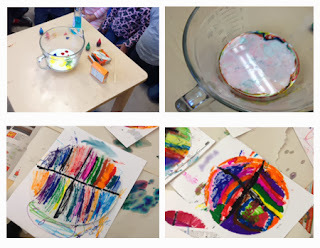 The children's eyes lit up as they saw colour move across coffee filters and sprayed with water. They were surprised to know what other colours they can make!! Cooking: Yes, we did made some treats last Friday. The little readers did an awesome job reading and recognizing all the sight words written on the classroom door, Masha-Allah. Way to go Sk2! 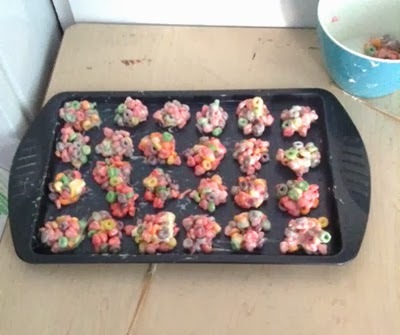 To celebrate this excellent teamwork, we made rainbow krispies treats that also go along perfectly with our learning activities about secondary colours. 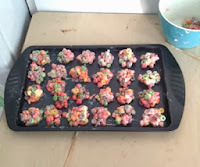 Sk2 loved to eat the rainbow krispies and were eager to eat more!! !